A Health Reimbursement Account (HRA), also known as a health reimbursement arrangement, is an IRS-approved, tax-advantaged, health benefit plan that reimburses employees for out-of-pocket medical expenses and individual health insurance premiums. With a health reimbursement account, employers make monthly tax-free contributions to employees. Employees then purchase the health care they need, and employers reimburse them up to their allowance amount. In this post, we'll go over an overview of how health reimbursement accounts work as well as some of their key features. How does a health reimbursement account (HRA) work? Health reimbursement accounts seem incredibly complicated, but they're actually really simple: they're just an system that allows employers to reimburse employees for medical expenses tax-free. 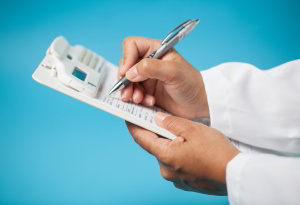 What are some key features of health reimbursement accounts (HRAs)? An HRA may reimburse any expense considered to be a qualified health care expense by the IRS, including expenses for health insurance policies. Within IRS guidelines, employers may restrict the list of reimbursable expenses in any way they choose.